Benjamins Estate Agents are pleased to present for sale this THREE / FOUR bedroom much improved family home which has the benefit of a new kitchen and useful loft room. 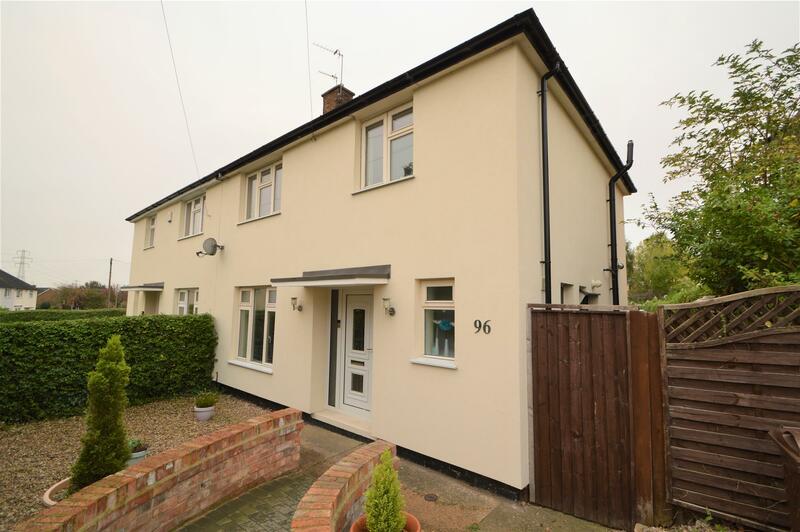 This semi detached house property benefits from; Newly fitted kitchen, a loft room which has the potential to be a fourth bedroom (subject to building regulations), extended bathroom, double glazing, gas central heating. The accommodation comprises entrance hall, living/diner, fitted kitchen, utility area, downstairs toilet, stairs to landing, three bedrooms, extended bathroom, loft room. Front and rear gardens. To the front of the property there is potentially off road parking for one car (subject to a drop kerb being installed) VIEWING HIGHLY RECOMMENDED. To arrange viewing please call Benjamins Estate Agent Sales on 0115 9371713. Wall mounted radiator and stairs to landing. Low level WC, wall mounted radiator and double glazed opaque window to the front aspect. Containing meter cupboard, understairs storage and single glazed door to side aspect. Matching base and wall units, work tops over, single drainer sink unit with mixer tap, fitted electric cooker, four ring electric hob, extractor hood, plumbing for washing machine, radiator and double glazed window to rear aspect. Stone effect electric fire, radiator, televison point, phone point, UPVC double glazed window to front and double glazed sliding door to the rear garden. Velux windows and storage areas. Panelled bath with handles, electric shower over, low level WC, pedestal wash hand basin, wall mounted double radiator, tiled walls, extractor fan and double glazed opaque window to rear aspect. The front has a gravelled area. The rear is enclosed with paved area, lawn, hedges and fencing. Off road parking to the front subject to a drop curb being installed.